An ardent F1 fan is what industry experts and his colleagues call him. His knowledge and in-depth understanding of the sport of Formula 1 knows no bounds. 31 –year old Kunal Shah lives, breathes, eats Formula1. He has been a part of the sport in multiple ways. First as a racer, then as a team manager; thereafter taking the corporate jump and exploring challenging roles, kick-starting Motorsport verticals for India’s top organizations. Let’s read a little more about his journey. In his younger days, Kunal studied at St. Xaviers Boys Academy, Mumbai. As a school kid he was a little different from his peers. At the tender age of 9, Kunal was enrolled into the Sea Cadet Corps, Mumbai where he underwent rigourous naval training and also trained to be a Sailor under the able guidance of India’s finest yachtsman Shakeel Kudrolli. Till date he credits his training at the Sea Cadet Corps and his mentor Shakeel in the way he leads his life. At this time, Kunal participated in various sailing regattas along with being a part of the esteemed Asian and World Championship training squads. It was also during these days that his interest and passion for the sport grew slowly but steadily. After quitting the Corps and competitive sailing, Kunal’s adventure quotient was still high and that’s when he shifted focus to motor-racing and Formula1. His tryst with F1 as a viewer began in the mid-90s, after which he grew to become a follower and then a lover of the sport. 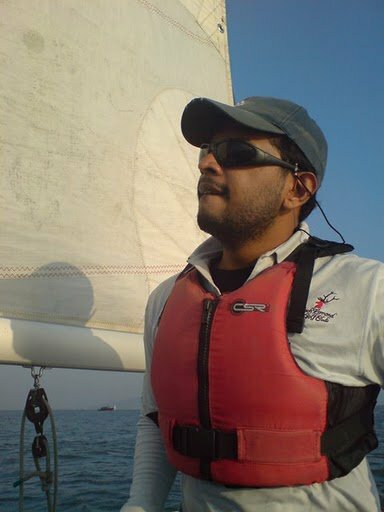 However, Kunal still sails on the weekends with a Mumbai-based sailing club, Aquasail India. Not many know that Kunal is an Engineer with a specialization in Information Technology. At the age of 17, Kunal decided to follow his passion and like most aspiring racers also undertook the go-karting route by participating in local go-karting championships. It was here that he found support, guidance and encouragement from Asif Nazir, India’s First National Karting Champion and 2001 Formula Asia Runner-up. It was on that one fateful afternoon at Asif’s office over a cup of coffee with Kunal and his father Atul Shah, where it was decided that Kunal was talented to pursue single-seater racing as a career. There were long days, coupled with finishing degree college in Pune and training regularly with Asif in Mumbai. 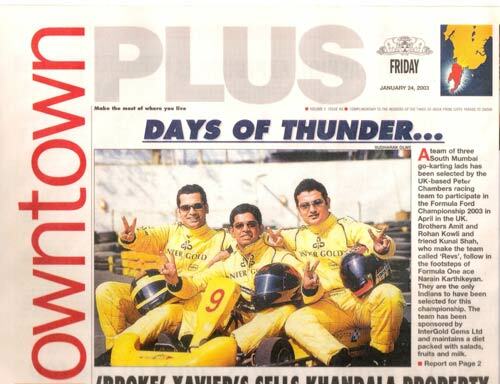 While pursuing a career in karting, Kunal formed Revs Motorsport along with his racing buddies. The objective of Revs was to participate in endurance races in the country and also within Asia. In its initial days itself the team found support in Orra Diamond Jewellery who aided them in their racing pursuits. In addition to driving for Revs, he also shared the role of a Team Manager and was heavily involved with the team’s Media and Sponsorship responsibilities. Revs Motorsport also applied to few teams in the most prestigious British Formula Ford Championship. The Revs Motorsport team was delighted to receive the opportunity to race with an upcoming team Peter Chambers Racing. This move made Kunal (and his team-mates) one of India’s only racers to be invited into the Formula Ford Championship. To race internationally was a conscious move which was complimented with the mentorship of Asif. The highlight of Kunal’s racing career was when he was invited for the Formula BMW Scholarship programme in 2005. His testing of the Formula BMW car was much appreciated by the BMW Motorsport team and helped him win a golden chance to race for a top team in the Formula BMW Asia Championship. 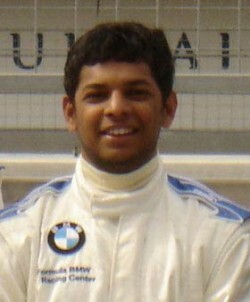 Following the BMW test he decided to race in two rounds of the Indian Championship Formula Swift. 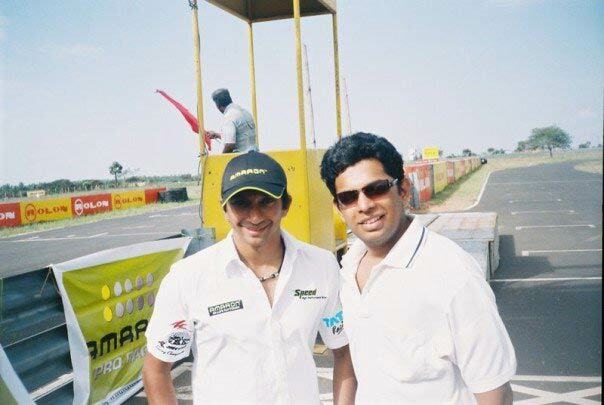 In 2006, he was one of the 10 drivers in the country to be invited to test for Narain Karthikeyan’s ‘NK Racing’. This was the final leg for Kunal as a racer and this is when he decided to pursue sports marketing as his career preference. His journey as a racer has enriched his knowledge on the sport and understanding the technical aspects related to racing. With the right blend of practical knowledge and multiple experiences, Kunal started his corporate career with Tiger Sports Marketing, which was India’s no.1 golf management company where he managed many high-profile golf tournaments [ET Leaders Tour, LG Amateur Tour]. He then moved to the Talent management side of the business with Percept Talent Management where he was in-charge of the non-cricket sports vertical. Following this, he shifted focus to the rights management space at Sport18, a division of Network 18 where he managed Motorsport and Sailing verticals for the company. One of his career highlights was that of setting up corporate sailing clinics for brands such as Dell, HP, Forbes, etc. He was also instrumental in assigning Sport18 as a Sports consultancy agency for the Amaron Karting Challenge – India’s leading grass root level program in Motorsport. Kunal enjoyed his role in the mass-mobilizing event the BSA Hercules Cyclothon Bengaluru 2009, which was India’s first Cyclothon. He also believes that mass sporting events are needed to promote a sporting culture in the country. Currently Kunal works with a leading Motorsport brand in the country. But his tryst with Motorsport doesn’t end here yet. Along with having a full time role, Kunal enjoys penning his thoughts and views on motorsport and has bagged many magazines brands to his credit. He believes that his educational background and Asif’s training adds the logical and technical touch in his approach towards Formula 1 be it in understanding the sport or writing on it. As a writer, Kunal bagged the opportunity to write for Chequered Flag Magazine where he regularly contributes to the Tech Byte section. As his pieces grew in number so did his readers and soon he was writing for All Sports Magazine and Dr!ven, an Oman based Magazine. As more platforms saw merit in his writing and thoughts he was offered to be the Honorary Motorsport Editor of India’s no.1 fan powered website, iSport.in while he simultaneously started his monthly F1 column in the AutoX Magazine. It wasn’t far when the likes of Forbes India and SportsPro Magazine approached him to pen special features on Karun Chandhok’s entry in Formula1 and business opportunities in the Indian Motorsport industry. For SportzPower Kunal is fondly called the ‘Pitstop Pundit’ where he focuses on the business of Formula1 and simplifies the financials involved in the world of Formula1 and how they impact on-track performance of teams, drivers and of course their sponsors. Kunal’s involvement in the sports industry can be traced down to his days as a sailor. He has spent nearly 2 decades in the sports industry in India – first as an athlete and then as a sports management professional. He wishes to share his experiences and hence takes this initiative in having his own blog that will address the Indian F1 fan leading up to the 2011 Indian Grand Prix and further. This blog will serve as an aggregator of all his past, present and future columns on the sport. We do hope you enjoy it and welcome feedback! Sirjee u r awesome never imagined u to be so great………..
never thought passion for racing could take u to such heights …..for us passion for racing stated in coll & just ended there…….. Happy to read all this…….. I had no idea you had a blog! We are Tork India Racing, founded in 2008.placed 3rd in electric super bike race at Worlds Toughest track Isle of Man TT, UK(2009),Winner of first ever Electric superbike race in UK at TTXGP 2010 in Snetterton, 3rd Place at UK Championship at TTXGP 2010. We are entering Isle of Man TT Zero races again at 100th Birthday of TT races and will be there again to make another Indian mark in front of the World leaders in Electric industry. We need help regarding Sponsorship and couldn’t find it easy in India.Can you help us out on the same. Do feel free to mail me and will see if I can be of any help. So many achievements..My God.. You are simply great.. I also like your blogs as it gives a clear idea about the picture..
Read your blog for the first time. The only word to describe is IMPRESSIVE! Even though I was aware of most of your achievements, all of it put together above makes it way bigger! Congratulations and wish you the best! Thanks a ton Payal and keep reading! 🙂 Your fav. driver Schumacher will be racing till the end of next season, at least! but believe me … kunal shah is a person who truly believes in people and encourages potential. we were just a small team, starting up from a passion whom kunal has supported from all his potential. i can never forget what kunal has done for us in our passion of building and racing a self made, single seater race car. our progress is his dedication to the team and his spirit of support. for his blog, I myself is a F1 fan and for the knowledge that kunal has, there are just a few in our country who can explain u the in & outs of a what happens on a F1 race track. great job kunal sir.. u keep thoughts rolling on the track. Thank you Nitin for your good words. Always willing to support you and your team’s initiatives. Good luck. Nice to hear all the gr8 things abt u. I believe u r closely involved/ monitoring the developments on the Indian Racing League. I m an Investment Banker n do come across with investors to invest in upcoming exciting projects. Would like to get in touch with u. Also, as a matter of fact that around 7-8 yrs back, I had got in touch with u/ur team in Revsports thru e-mail for guidance, when I myself was thinking to pursue a career in motorsports. Sir..firstly i congratulate u for ur effort to bring I1 series to day light..it’ll be great platform for indian drivers who wants to hv career in professional racing..u mentioned something abt academies to groom young talent..can you please give more details about it.. Thanks Mohasin. Starting motorsport academies is a part of the plan for i1 Super Series. Timelines haven’t been disclosed yet. You mentioned a V8 engined car with 230-240bhp to be used in IRL. Their website says they will use the standard Radical SR3 with its 4 cylinder 210bhp motorcyle engine. Can you clarify? The standard Radical SR3 will be used, but at the launch a V8 engine was mentioned as the engine spec. I guess we will have to wait and see. Greetings for the day. I’m a MBA Sports Management student in University Of Liverpool,2010-11. I’ve done my specialization in Sports marketing & sponsorship and currently working(internship) with Everton FC in Sponsorship & Partnership Dept. I wanted to know how can I get in touch with Force India Team for a role in marketing department as I’m focused towards working in Motorsport in future. I’ve a professional work experience of 3.5 years in Marketing & Business development in India and did the course to pursue my dream of working in sports industry. Any help would be grateful. I would suggest the contact us via the website. Avid reader, first time poster. I am racing in the JK Racing Asia Series, Asia’s premier open wheel racing class (was Formula BMW Pacific). I’m one of only two indian drivers racing in this series, which is heading to Singapore next month as support event for the Singapore F1 GP. We head off to India after that to support the Indian F1 GP as well. I sent you an email to keepracing (at) kunalsf1blog.com with some more info. If you could please check it out that would be awesome. Thanks Duvashen. I shall reply to your email soon. Cheers! Keep Racing! How are you? I been to ferari office in delhi.. cool one and met Mr andreas to… formula one rocks. hope to see u in delhi soon. Thanks Parmeet. See you all at the Indian GP indeed. Hoping to catch up with you in Delhi! Thank you for the compliments Viral. Keep reading and keep racing! Hi Kunal, do you have a contact email address pls. Mine is gsandhu@awesinine.com . Can you give me your email had a query. Good to know about F1. dud…//// thou i kno few from racing from chennai my hometown,,i find u the best yet,,! !now i can ask an expert in motorfield in india,,,!!! abt one of my favrite sport..! ur quick replies and incredible knowledge on this platform..!! will make my furthur road ahead in motorsportnews smooth and interesting i hope..!! thnks kunal..
You’re welcome and thank you for your good words. we are planning to organise live show of international professional wrestling . wwe ,tna,cwc stars and indian proffesional wrestlers in mumbai . we want you to join this event. this is the first time in india . with same effect and arrangment like WWE …………..
i am marketing executive in a sports directory.I want to join the field of sports marketing. I did three months sports marketing course from DU.Now i am doing mba also. so. please give me some guidance. I ll be very grateful to you. Dear Kunal I’ve just started experimenting with sports marketing. Especially motorsports apparel. Would like to get in touch regarding sponsoring some teams. great to know about you. anyway to get in touch with you ? i am 23 yrs of age exploring the tsd rallying world. !if possible , pleas mail me down , or put down ur contact no. here. !! Being such a professional, i am seeking your help to get a good job. Your blog is pretty special and things you’ve achieved are massive. I’m an F1 blogger who strives to be a better one from India. I’ve added my site link up there and check it out. I hope you’ll enjoy it. Thanks!! Like you,even my love for F1 started at an age 10 years, the season was 1999 and Schumacher had met the biggest accident of his carrier. 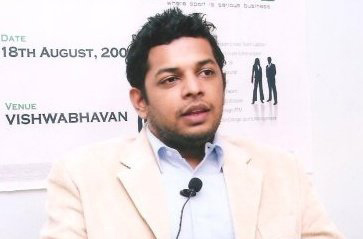 Since then till now, I have tried different stints in Sports Marketing- a)Interning for Royal Challengers Bangalore under Ashish Thukral(GM,Marketing,USL) b)Getting mentored by senior most Nascar officials that included Director, Chief Marketing Officer and Senior Manager, Communications. I have done my masters in Global Marketing from Virginia Commonwealth University,USA, and was looking for a way to enter into F1 Marketing. It would be of immense help if you could guide me on the subject. I was randomly searching for F1 blogs to follow & stumbled upon your blog. I’m a huge F1 racing fan & waiting for 2013 season to kick-start. You have a great blog going here, Thx!! Muchos Gracias Pavithra. Hope to keep up the good work! Browsed through your blog and hope the neck is better now…! Keep Racing! And thanks for dropping by my blog!! Oh my neck is far better now, Gracias!! Sumit, suggest you start karting at your local circuit and then take it from there. Participate in local and national competitions before deciding on a career in Formula1. Good luck! I’m Simon and I’m writing to oyu from Budapest. The F1 is taking place here at the Hungaroring in Hungary this weekend. I’m sure many of your visitors -maybe even perhaps you?- are coming to cheer, celebrate and have fun with your favourite team. To be honest Budapest and Hungary can be confusing to tourists at first. Most signs are in Hungarian and most of the older generation doesn’t speak English. to help people find accomodation and the Hungaroring itself. If you wnat to publish the guide or link to it or share it in any form we give you full permission. I hope this can help the people coming for the F1 to have a really great time! I have just started work on a company to promote motorsports in India. Professionally, I don’t have any background in motorsports apart from officiating and being a marshal, but my father Mr. Sudev Barar, has been a part of the Indian rallying scene for over 30 years. He is also the Chief Marshal for the Indian F1 and an organizer for motorsports events like Desert Storm, Raid De Himalaya, Speed Sprint to name a few since he retired from rallying himself. I was wondering if it would be possible to get in touch and run a few things by you in regards to our endeavor, and more crucially look at what we can do to promote the sport in this nation which is increasingly getting hooked. I want to become a f1 racer,so i am searching for training academy located in india which can train me,please give me some addresses. All: I just discovered Forumla 1 from the US through watching the Ron Howard film Rush and the documentary Senna. I absolutely love the pace and the wit of Rishi’s and Kunal’s podcast? I hope to see them and other fans at the American event in Austin in November 2014! Thank you for your good words Steve! We absolutely love the first corner at Ax! 😀 Keep racing! Sony Entertainment cordially invites you to attend the launch event of its online TV streaming website SonyLiv. The event shall take place at a sports bar in Lower Parel. Please get back to us for more details on the event. Hi, i want to become a F1 racer. i am 24 years old and have experience in driving in most parts of India but have not taken part in any championships. some suggested to take part in Formula Swift championship with wallace sports or may be meco motorsports but i am not sure how to go about it. can you advise something? Thanks for writing in. Yes, a local karting or a national racing championship is a good place to start. There are plenty of teams and privateers that you could participate via. There’s also Rayo Racing you could consider. All the best and let me know how you get along. Your blog is just awesome…there are very few people in INDIA who fallow F1 & write about it…!!! I handle the PR for Singapore Tourism Board, have sent you an invite for a Singapore Grand Prix event. Please let me know if you would be able to make it on 24th June. Sir I am big fan of F1.. and I want to make career in it. Can u plz guide me how can I start ma career . I love speed… & I m fond of driving. I m 22 yrs old. plz sggst me how to start. I will be thankful to you. I want to get training for F1 Racing. Is there any academy india which provide F1 Racing ? Plz reply at ur earliest ..
Moin, there are a few good racing schools in India. Check Rayo Racing and connect with Rayomand Banajee there! All the best! Hi,can i have your contact no! its regarding TAG Heuer and Formula e news! This is Aditya Surana, marketing manager at Techfest, IIT Bombay. I wanted to talk to you regarding sponsorship for few of our events which sync in very well with the brand Sahara Force India. Can you please share your email address ? I’ve been following your blog, and I thought this may be something you would be interested in to add to your column. But regardless, I like your work anyway! we would like to offer to Force INDIA two of our new generation of ebikes for Paddock pilots use with your own graphics. If you are interested please reply. My name is James Edwards and I am the content editor at Passion Digital, working on behalf of our client, sports betting firm Spreadex. In order to create a buzz before F1’s title-deciding race in Abu Dhabi, we have created a Hamilton vs. Rosberg infographic which ultimately poses the question “Who will be crowned 2014 champion?”. The infographic looks at how their rivalry has grown from childhood friends to arch enemies. Readers follow each of the players’ career high points, key facts, figures and broken records. Once the chequered flag has fallen at the Yas Marina Circuit, we can deliver a 2nd installment filling in the final results and announcing the world champion. This keeps your onsite content fresh. If you need the infographic specifically sized for your site, this is something we can provide. May I ask if this is the sort of thing you’d be interested in sharing with your audience? If you could let me know your thoughts on this matter I’d appreciate it. Allow me to introduce myself. I am the editor of the social media pages for Motorsport 24, a new website which provides live updates across events in F1, NASCAR, MotoGP and Speedway. I am messaging you to see if it is possible for me to post blogs to your site as a guest – primarily these will be topics of debate or previews from our perspective which are designated primarily to add fresh, engaging, relevant content to your site (such content is, of course, favoured by all the major search engines). If you approve, I would simply be looking to post once (possibly twice) per month on your blog in order to build links with sites of good repute (such as yours), by linking back to the Motorsport24 page at the end of each post. We will NOT be advertising or promoting anything within posts. Posts will always be on topic. I look forward in advance to working with you. 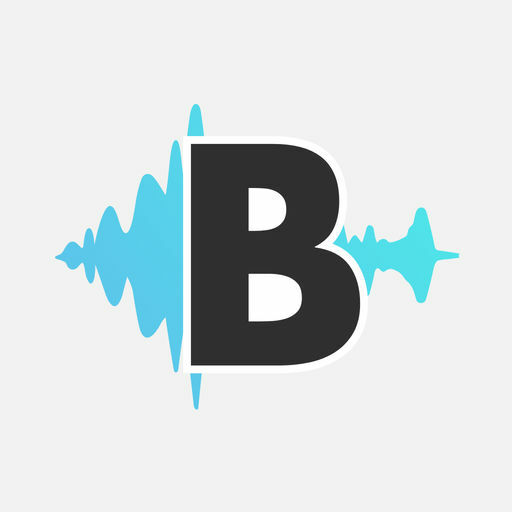 I would be interested to see if you would like to be an F1 Contributor for us. Please get intouch with me via email. Hi Kunal , I am 18 . I want to be a f1 driver plz tell me about it . I searched many sites but I don’t understand what to do . I read your blogs and they are easy to understand . I desperately want to be f1 racer . Many thanks for your comment and query. The best way to recognising your talent for racing is by visiting a local karting circuit in your city or nearby. Go drive more than a few laps and see how comfortable you feel and how fast you are. Take the help of the local marshals and / or champ to see if you can go quicker. If all goes well, participate in a few championships and see where you stand. Let me know how you get along. All the best! 🙂 Keep Racing, Kunal! Been trying to contact you for a long time. Racing for the VW Vento Cup this year. Wanted to have a word with you for some tips and suggestions on how to seek sponsorship’s and get about the whole racing season. Please mail me if that will be possible. P.S. Good job with the blog!